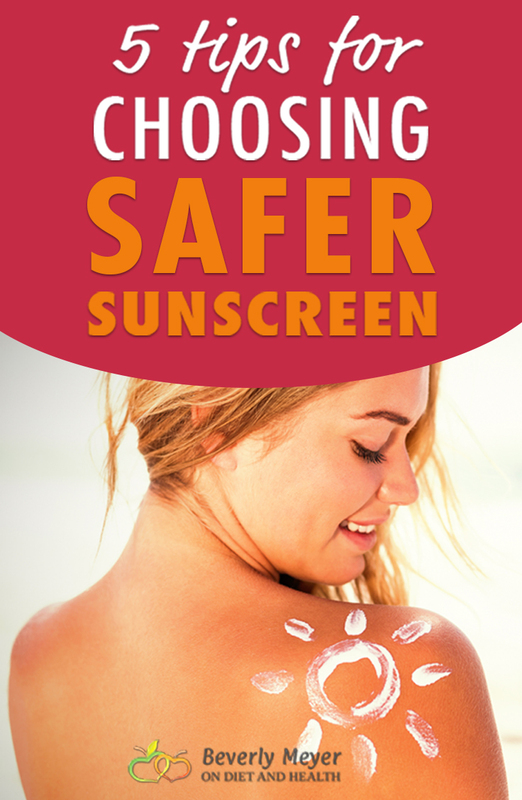 Choosing safer sunscreen? Avoid synthetic chemicals that absorb through the skin, get correct protection, and soak up some Vitamin D while you’re at it. Listen to my Primal Diet – Modern Health podcast on this topic from the Player above or on iTunes. 1). Organic Filters: synthetic chemical combos that absorb sun’s radiation, preventing it from entering the skin. Here’s a case where the word “organic” is bad. 2). Traditional Mineral Sunscreens reflect damaging rays. 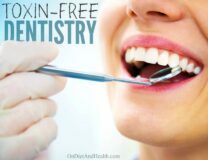 Most include zinc oxide or titanium oxide. They appear white on the skin since they reflect light. 3). Nano-Mineral sunscreens have tiny nano-particles of zinc and titanium oxide. Their safety is questioned as they may penetrate the skin, but they’re still safer than organic filters. 4). Clothes and shade work well! 5). Healthy skin burns less. The Paleo Diet may change your tanning future. Oxybenzone is common in commercial sunscreens. 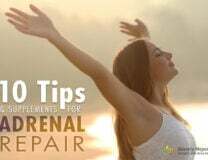 Linked to elevated estrogen, endometriosis and allergic reactions. Retinyl Palmitate is a form of Vitamin A linked to skin tumors and lesions. It doesn’t “help” sunscreen protection. Avoid it. Spray sunscreen is too easy to inhale. Use topicals. High SPF’s only protect against UVB burning rays. They don’t block UVA rays that age the skin, affect your immune system and promote skin cancer. You’re not safe just because you aren’t burning. Sunscreen/bug repellant combos – too many unpronounceable ingredients! In general, yes. But commercial brands of zinc and titanium sunscreens may still contain chemicals in the lotion. If you can’t pronounce it, don’t use it. Many brands now use BOTH chemical and mineral filters. Read those labels or use the EWG sunscreen guide below. Hats, loose white clothes, shade, and UV blocking sunglasses are mandatory – there’s no getting away from common sense. But a Paleo-type diet may help you tan more easily and not burn so fast. I’ve seen anecdotal reports of this on many websites in the Paleo community. Diets higher in saturated fats such as ghee, coconut oil and pastured meats help the sun make more Vitamin D in our skin. The fats, Vitamin D and the higher levels of antioxidants in a Paleo Diet all provide some protection from burning as well as less DNA damage from UVA rays. Getting safe sun allows the skin to make Vitamin D. Most of us don’t get enough all-year-round sun (on horizontal bare skin when the sun is high in the sky). The D we make in the skin is different from that in supplements, but I still recommend my readers and clients take this Vitamin D + K2 combo daily for life unless your annual blood test for Vitamin D is normal. Then just take Vitamin K2 as Emu Oil or as these MK-7 capsules. This study reports that Vitamin D deficiency due to use of sunscreen may be the cause of increased chronic disease globally. Here’s my detailed article on the incredible importance of Vitamin D in gene regulation and the immune system. 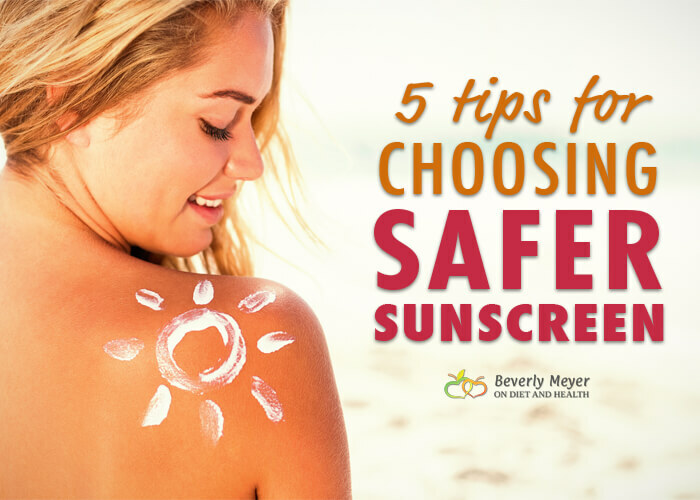 Need Help Choosing Safer Sunscreen? This page from the Environmental Working Group (EWG) has detailed info and a Search Bar to check brands at the store or at home. Here are the 10 Worst Sunscreens for Kids according to the EWG. Here’s EWG’s list of the best moisturizers containing sunscreen. Stay cool!